It’s time for an upgrade! No longer will you settle for a mediocre bolt carrier group that barely stays together or that doesn’t prevent jams during the reload process. Instead, take a look at our guide and find a better BCG that’ll make your next time at the range truly memorable. But what is a bolt carrier group, exactly? Put simply, it’s a collection of mechanisms and pieces that determine if your firing and reloading process goes smoothly or is riddled with clunky motion or jamming. 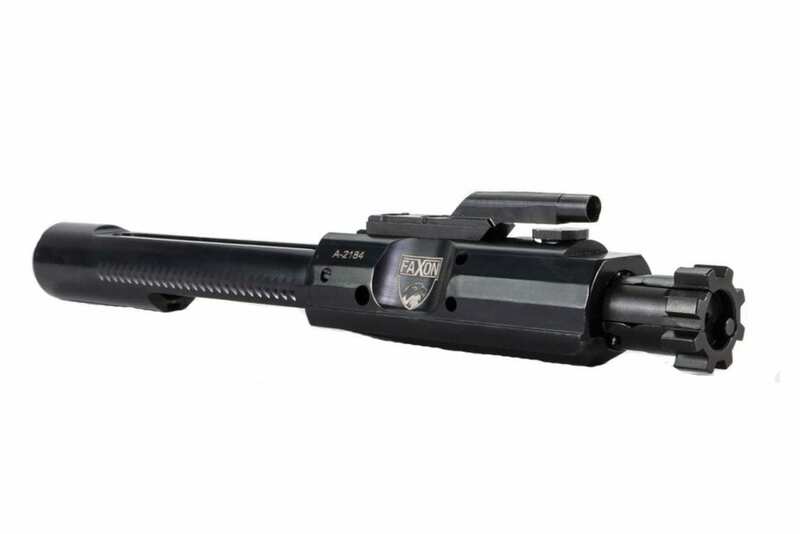 A bolt carrier group utilizes the compressed gas initially used to fire the round to help eject the spent cartridge and load the next round all in one smooth process. It’s a smart mechanism that hijacks the energy and power already being used by a rifle to streamline the firing and reloading process. With most bolt carrier groups, gas pressure behind the bullet being fired will go up into a gas tube and push the bullet carrier group back. All of that pressure will then impact the firing pin which will push the bolt and bolt carrier back. The spring-loaded function right at the top of the bolt will force the empty cartridge out of the ejection port. This allows the next round to slide right up into the chamber, ready to go immediately. So, bolt carrier groups are really useful. 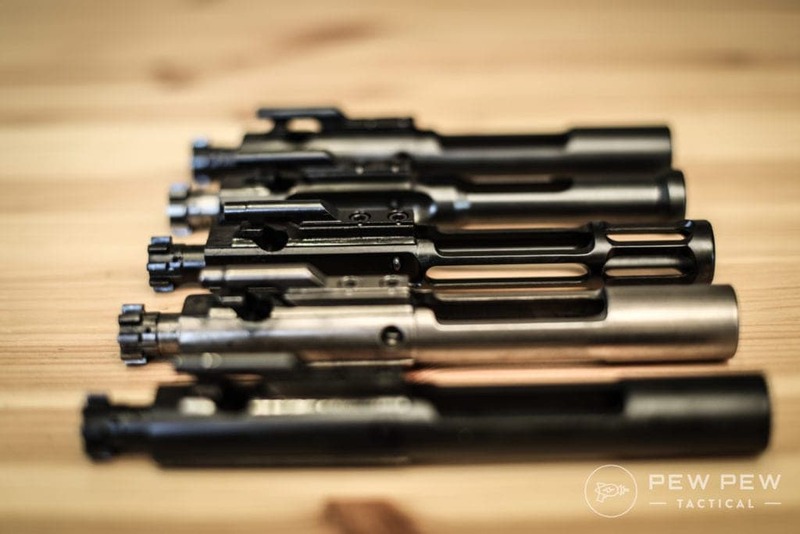 How can you tell what makes a good bolt carrier group for your 6.5 Creedmoor? Turns out, there are a few key aspects to keep in mind that can help you tell good BCGs from bad. Let’s go over those. There are a few different types of BCGs that can drastically affect the performance of your weapon. You’ll definitely want to pick a BCG that fits with the type of gun you’re already using. For instance, there are full auto BCGs on the market that are obviously great for full auto rifles. On the other hand, there are military spec BCGs that were built specifically to meet the military’s high standards. Not only are these very reliable, but they have the aesthetic that a lot of people like to emulate with their personal weapons. Material is another key part of any good BCG. Steel is easily the most common material used for BCGs since it is durable, can withstand wear and tear, and resists heat; furthermore, steel doesn't tend to cost too much. 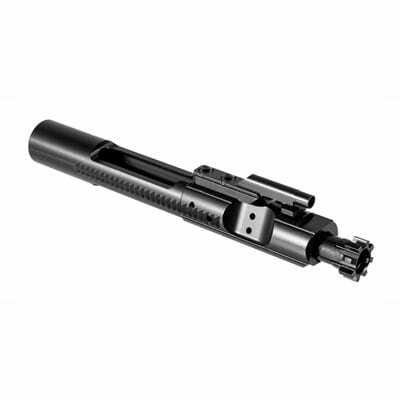 In addition to steel, there are aluminum BCGs, which are lighter and popular with guns that have adjustable gas systems. Then there are titanium BCGs, which are lighter than steel but also stronger. These are obviously more expensive, but in terms of absolute value, they're the top dogs. Finally, take a look at the finish of the BCG before you make any final decisions. Parkerized finishing is often used with military spec BCGs and helps a BCG resist corrosion. Nickel boron finishes also help reduce corrosion and are friction free. They look very shiny as well. Black nitride is another finish that hardens steel and reduces corrosion, as well as increasing BCG longevity. Now that you’ve seen what makes up a good BCG, let’s take a look at our top picks for the best BCGs for a 6.5 Creedmoor. Any of these options will be excellent choices. In terms of all-around great BCGs, this is one of the best. This is made from 8620 steel, which is a heat resistant metal that is further treated with a black nitride finish. This further hardens the steel and makes corrosion a near impossibility. The BCG is designed with double ejectors to make the expulsion of used cartridges extremely smooth and quick. This lends itself particularly well to use with full auto weapons, but anyone who fires quickly and hates jamming will love the double ejector capability. All of the bolts are made from the same 8620 steel, further improving the lifespan of this BCG and allowing it to maintain its efficient operation under heavy use. The firing pin is a bit small, so you’ll need to make sure that your rifle is sized properly for installation. To top it all off, this BCG is very affordable, especially when you take its quality into account. This BCG has two ejectors to maintain smooth, fast removal of spent cartridges and is made of very durable steel coated with a corrosion resistant finish. Affordable and versatile, this product may even be appropriate for full auto firearms. The Faxon Creedmoor Complete Nitride BCG is another great BCG, though it unfortunately lacks the dual ejector capability described above. This is a slight flaw when compared with our top option, but there’s no doubt that, apart from this flaw, the Faxon performs extremely well. The entire apparatus was MPI tested to make sure that everything was sound and defect-free. This BCG was made with high-quality steel and treated with black nitride to reduce corrosion and extend the BCG’s lifespan. This product was superfinished with black nitride to reduce friction even further than the standard. This allows it to be rated for full auto firing, even though it doesn’t have two ejectors. The extreme corrosion resistance and extended lifespan allow it to be a valuable purchase for many years to come. Our general recommendation is to look at the current prices between this BCG and our top pick and see if there’s a clear more affordable option. They’re both so similar, besides the ejector aspect, that you can’t really go wrong with either pick. This superfinished BCG has extreme corrosion resistance and is virtually friction-free. This makes it a great choice for full auto weaponry, but it only has one ejector, so keep that in mind when picking between this BCG and our top pick. When it comes to value, this BCG easily takes the cake. The Brownells M16 Grendel BCG is extremely affordable right off the bat and is a very good BCG, in spite of its affordability. 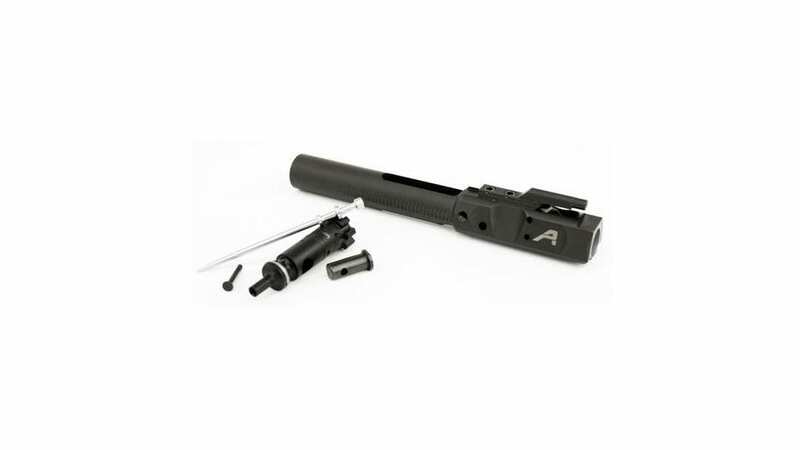 Made from hardened steel that is machined with precision and perfection, every aspect of this BCG is treated with black nitride to reduce friction and lower the chances of corrosion. Every bolt from this BCG has undergone magnetic particle inspection to make sure that every inch of the apparatus is safe and ready for use. Its bolts are made from even harder steel than the steel used for the rest of the mechanism. This allows you to experience reliable performance even after thousands of shots. Like our top pick, it’s pin is a little short, so make sure that this BCG will fit with your weapon before you make a final purchase. If you can at all manage it, however, this is definitely a great choice in terms of the absolute value you get per dollar. This affordable BCG comes treated for extreme heat performance and corrosion resistance and is made from two different types of steel: one for the apparatus and one for the bolts. It has a smaller than usual pin but this shouldn’t stop you from enjoying its performance given its great price. This is a rifle-sized BCG made from stainless steel. This is particularly of note because stainless steel is even more heat resistant and durable than many other types of steel used for precision machining. The PSA Rifle-Length Creedmoor BCG is of great use for full auto weapons, which this BCG is rated for. It has dual ejectors, just like our top pick, furthering its potential viability for your full auto aspirations. The entire BCG has been treated with black nitride to extend its lifespan and make it even more durable than it already is. The black nitride combined with the stainless steel really makes it stand out in the durability department. This is one of the toughest BCG mechanisms we’ve seen. The definite drawback is that for all of this quality, you have to pay a pretty hefty price. But we think that quality like this is definitely worth top dollar, so if you’re going for the best possible BCG and money is no object, you should definitely consider grabbing this one. Although it’s pricey, this BCG is extremely tough and is sure to last for years to come through thousands of rounds. It’s going to be very good for full auto shooting due to its stainless steel construction and its dual ejector system. For our last BCG, take a look at the Aero Precision Black Nitride BCG. It’s ideal for big-bore rifles and is machined from 8620 steel. The steel has been further hardened by a black nitride finish that is specific to this BCG; this coating also minimizes the need for lubricants or cleaning, which is great if you don’t like to perform frequent maintenance. Every component is coated with this finish, except for the carrier firing and, which has a hard chrome coating. All of the bolts have been magnetic particle inspected and tested in high-pressure chambers to make sure that they won’t give out under a lot of stress. It’s an extremely durable piece of equipment. While it does cost more than other items on this list, this BCG is quite excellent in terms of total quality. It’s a great choice if you’re going for absolute value and are attracted to its signature look and Aero Precision engraving on the side. This BCG is a durable, heavily coated apparatus that’s designed to reduce the need for lubrication and frequent cleaning. Its construction and black nitride finish ensure long-lasting, reliable performance. Like all aspects of the firearm, overall quality can affect day-to-day performance and gun safety. Using a high-quality BCG with your 6.5 Creedmoor allows you to shoot more effectively and accurately. Good BCGs will reduce the overall chance that you will experience a jam at any point as you fire your weapon. Jams can cause damage to the weapon or physical harm to the user, both of which are a terrible thing to experience. Most quality BCGs are coated with some kind of finish that makes them last longer than cheaper models. A longer lifespan directly translates into less money spent maintaining your firearm and more time spent enjoying it. In addition, a coated BCG has less of a chance of breaking and causing catastrophic damage to the firearm or to the user. Good BCGs will allow you to fire and reload more quickly with your 6.5 Creedmoor. This is especially useful for full auto weapons, as you can hold down the trigger confident that you can spit bullets down the range and not have to worry about any issues arising with the cartridge ejection process. We hope that you learned everything that you need to know when it comes to BCGs. 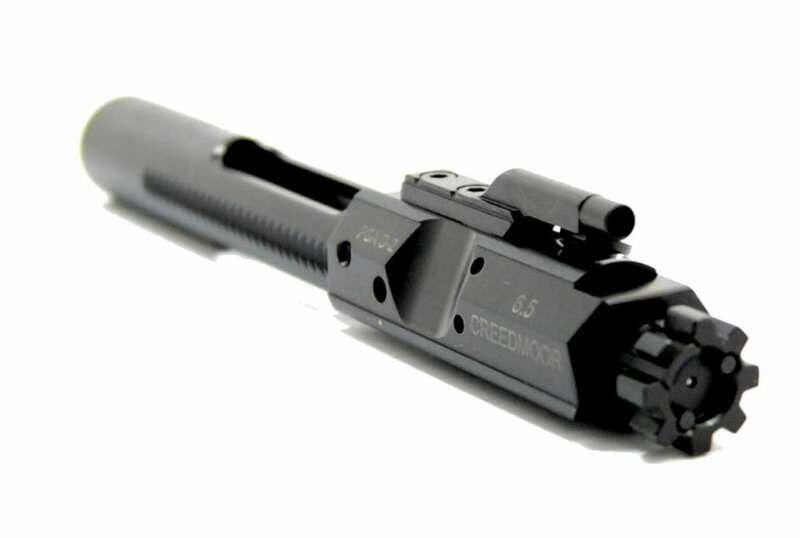 Getting a quality BCG is one of the best ways to upgrade or improve your 6.5 Creedmore. When it comes to the best firearm accessories and parts, we’re always here to give you tips and bring you the best products. Thanks for reading!